Fred Manning Cersey was a son of Manning Andrew Cersey and Lula M. Goodin, of Ray City, GA. He was born November 27, 1923, just three weeks after the death of his older brother Jewel Cersey (1916- November 7, 1923). Fred M. Cersey was a grandson of Henry Thomas Cersey and Missouri “Louannie” Whitely. His grandfather was a primitive Baptist and a member of the New Ramah Primitive Baptist Church at Ray City, GA.
Fred’s father did not have a farm of his own. As a young man, his father rented and worked as a farm laborer. In 1917, he was working as a farm laborer for Thomas Futch. In the 1920s, Fred’s father was one of the sawmill fireman at the big Clements Sawmill at Ray City, GA on the line of the Georgia and Florida Railroad. The Cersey family lived in the company settlement in a rented home. 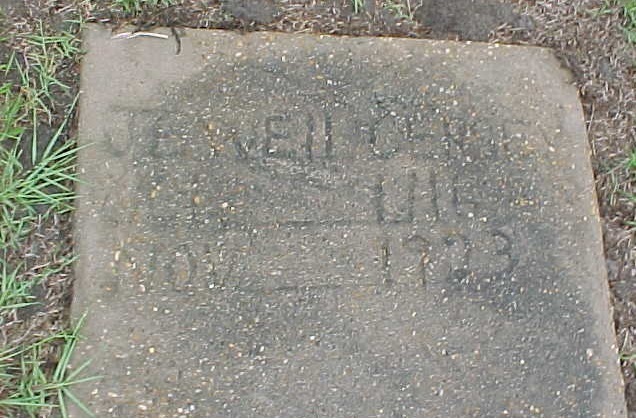 Another fireman at the sawmill plant was J. D. Melvin. In the 1930 Census, Fred lived in Militia District 1157, Berrien County, GA with his father Manning Cersey (42), mother Lula Goodin Cersey (35), and siblings Clinton (17), Pauline (10), and Clifford (2 1/2). His father was then self-employed as a farmer. Fred Cersey was educated through the 4th grade, and afterwards went to work as a cook. By 1835, the Cerseys were living in the lower 10th district of Berrien County, GA on the Lakeland and Willacoochee Road. Fred was enumerated in his parents’ household there in 1940. By 1941, Fred had moved to Jacksonville, FL where he was working for Swift & Co. as a “refiner.” Swift and Co. was a long-running American meat processing company. The company was a national brand emerging out of the Chicago meat packing industry. Fred M. Cersey married Ruby E. Williams on March 7, 1942. On May 19, 1943, Fred M. Cersey enlisted in the U.S. Army at Camp Blanding, FL. Camp Blanding was the largest training base in Florida. Housing some 60,000, it was the fourth largest city in Florida; During World War II, approximately one million men received basic training here. Soldiers at attention on Company Street at Camp Blanding – Starke, Florida. 1942. State Archives of Florida, Florida Memory. <https://www.floridamemory.com/items/show/31681&gt;. After the war, the couple made their home in Jacksonville, FL. The 1946 Polk’s City Directory for Jacksonville, FL shows they were living at 2371 McQuade street. Fred and his brother, Clifford, worked for National Container Corp.
Later, Cersey worked for the Jefferson Smurfit Paper Company. CERSEY – Fred Manning Cersey, a long time resident of Clay County passed away April 7, 2002 following a lengthy illness. He was born November 27, 1923 in Ray City, GA, the son of Manning Andrew Cersey and Lula Goodin Cersey. He was a veteran of the U.S. Army having served in WWII. He retired from Jefferson Smurfit Paper Company following 40 years of dedicated service. Fred was a happy and loving family man who enjoyed sports, music, singing, fishing and the outdoors. He was a High Priest of the Church of Jesus Christ of Latter Day Saints where he Served in many leadership roles. Surviving are his devoted and loving wife of 60 years, Ruby Williams Cersey; his daughters Patricia Ann Best (Michael), and Sheron Elaine Merrill (Roger); his son Fred DeWayne Cersey (Lana); 12 grandchildren and 12 great grandchildren; his brothers Clinton and Clifford Cersey; half brother Thomas and half sisters Dorothy and Latrelle. He was predeceased by his first daughter Ruby Marlin Cersey. Funeral services in celebration of his life will be held 11:00 AM Wednesday April 10, 2002 at Middleburg Ward of the Church of Jesus Christ of Latter Day Saints, 4342 Highway 218, Middleburg, FL with Elder James F. Wheeler officiating. Mr. Cersey will be laid to rest with his daughter in New Zion Cemetery following services. Family members and friends will gather on Tuesday evening (TONIGHT) from 6:00 PM until 8:00 PM at JACKSONVILLE MEMORY GARDENS FUNERAL HOME, 111 Blanding Blvd., Orange Park.